The 7 Habits of Highly Effective People, first published in 1989, is a popular self help book. It presents an approach to attaining goals by following a few universal principles centered around character and ethics. This post is the first in a series to introduce 7 habits for highly effective 7s. Like Covey’s habits, these habits are universally practiced by effective 7s players regardless of body type, position, team tactics, or strategy. The first habit is leg drive. 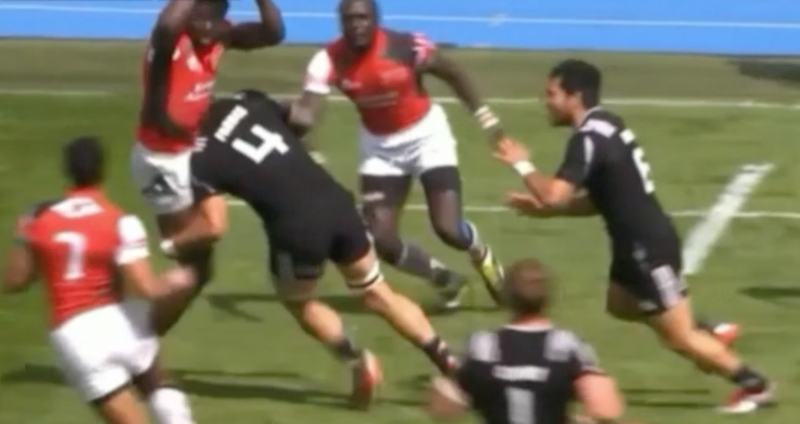 Effective 7s players drive their legs in contact with short, sharp steps. As the following video clips demonstrate, strong leg drive generates turnovers on defense and scoring opportunities on attack.